Of all the first world problems, a glut of champagne may be the First-Worldiest. But there’s no denying the stuff flows like a river come the holidays. A few classic drinks make excellent use of that surplus bubbly. The Canon de 75 modèle 1897. 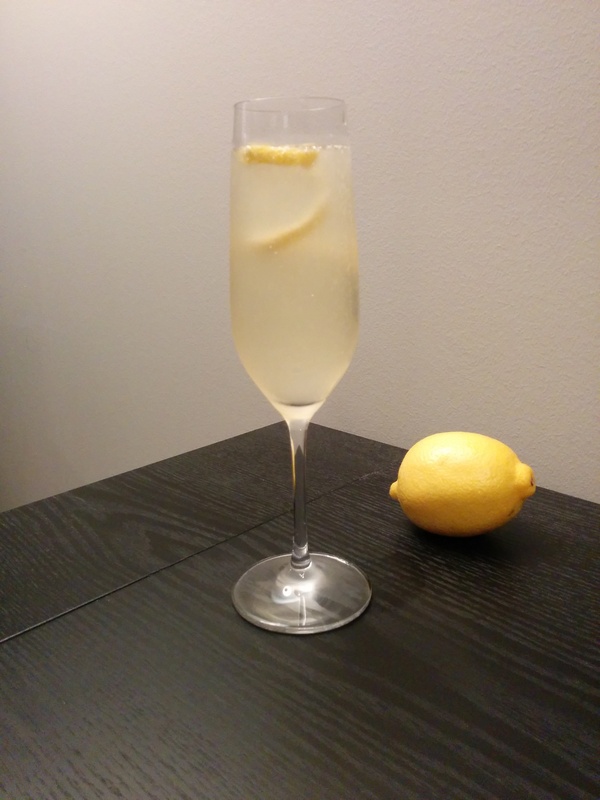 The French 75 is the grand-père of champagne cocktails. 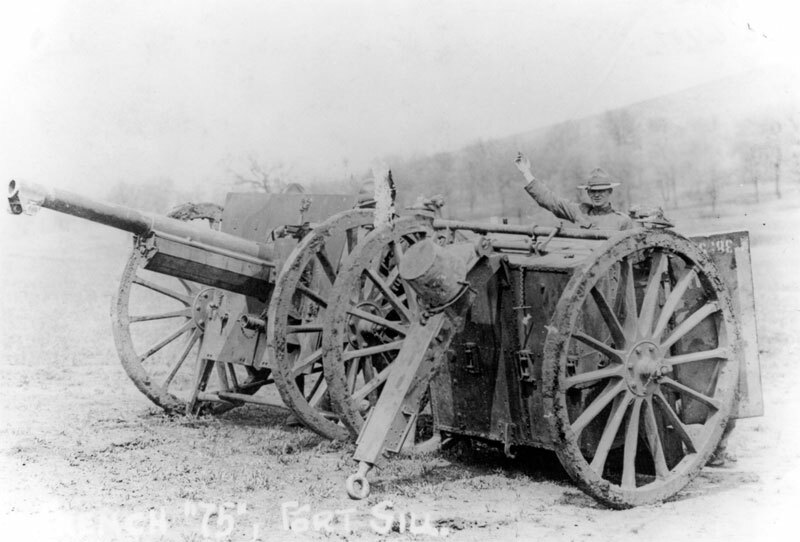 The Canon de 75 modèle 1897 (or M1897) 75-mm light field artillery gun was a lethal piece of weaponry—with the right personnel, it could briefly fire up to 30 rounds per minute—used by the French army and the American Expeditionary Forces during World War I. Called the “Soixante Quinze” (“75”) en Français, the gun loaned its name to the cocktail because that’s how hard the drink hits you. Exterior of Harry’s New York Bar. Harry’s New York Bar, Paris popularized the French 75, with Manhattan’s famed Stork Club serving as its Stateside launch pad. The traditional recipe is gin, lemon juice, sugar, and champagne, although there are variations; Patrick Gavin Duffy’s Official Mixer’s Manual , which dates to 1934, cites the French 95 (bourbon) and 125 (brandy). But start with the original, and serve it in a champagne flute instead of a cocktail coupe. This most festive of drinks deserves the most festive glassware. 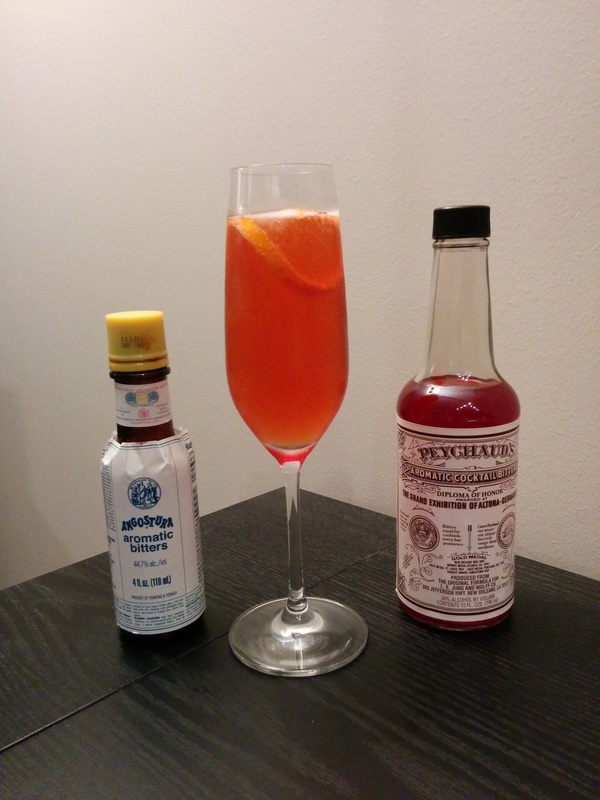 The Seelbach is a more challenging cocktail, owing to an abundance of bitters. It was born in the Seelbach Hotel in Louisville, Kentucky, still open for business as part of the Hilton chain and immortalized as the site of Tom and Daisy Buchanan’s wedding in The Great Gatsby ; F. Scott Fitzgerald frequented the hotel’s bar while in basic training and was bodily escorted from its premises at least once. The legend of the drink’s creation claims that in 1917, a bartender used a Manhattan to catch the spillover from a newly-popped bottle of champagne. The exact formula was lost during Prohibition, then rediscovered by hotel manager Adam Seeger in 1995 and restored to the house bar’s menu. That recipe demands great lashings of bitters, a whopping seven dashes of aromatic Angostura, and an equivalent amount of the sweeter Peychaud’s. I’m a fan of bitters and fourteen dashes gives even me pause, something about the excessive number smacking of a Derby Day dare. Still, the drink satisfies in its initial configuration. In The PDT Cocktail Book (2011) Jim Meehan suggests a more tempered version, with three dashes of Peychaud’s and two of Angostura. The result is more sedate, giving additional purchase to the bourbon. But you owe it to yourself to sample the Seelbach as Fitzgerald would have downed it. An also-ran among champagne cocktails is called, unimaginatively, the Champagne Cocktail. 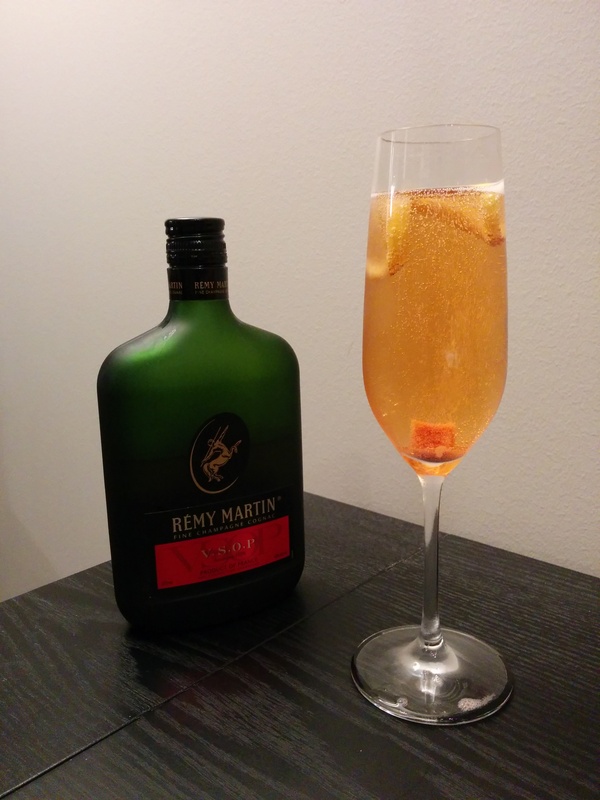 A simple formula goes with its generic handle: one bitters-soaked sugar cube in a glass of bubbly. The drink has longevity—a recipe appears in Jerry Thomas’ 1862 The Bartender’s Guide—as well as a clear demographic. For years it was known as “chorus girl’s milk,” and a 1940s cocktail guide/ladies’ companion lists multiple riffs with names like She Couldn’t Say No and Her Sarong Slipped. What it lacks is respect. David A. Embury, in his essential book The Fine Art of Mixing Drinks (1948), dismissed it as an “incongruous mess” and “decidedly inferior,” while contemporary expert Jason Wilson declared “it is simply a terrible cocktail” likely concocted to foist “rotgut sparkling wine” on the unsuspecting. But hey, I like it. That’s partly because it’s a beautiful drink to look at, the champagne’s bubbles effortlessly dismantling the doctored sugar cube and ferrying its sweetness and sharpness throughout the glass. I also follow an early modification suggesting the addition of a small amount of brandy. Bitters and cognac always work in combination, even with carbonation. It’s a fine way to ring in the New Year and reinforce my annual resolution: when pressed to choose sides, go where the chorus girls are. Vince Keenan is the associate editor of Noir City, the magazine of the Film Noir Foundation. His book Down the Hatch: One Man’s One Year Odyssey Through Classic Cocktail Recipes and Lore, collecting the essays featured in Slate and USAToday.com, is a Kindle bestseller. He writes about cocktails and popular culture at blog.vincekeenan.com. An ex-pat New York Mets fan, he lives in Seattle. Down the Hatch: One Man’s One Year Odyssey Through Classic Cocktail Recipes and Lore via Amazon. The Great Gatsby (movie) 2013 (Leonardo diCaprio) via Amazon. The Great Gatsby (movie) 1974 (Robert Redford) via Amazon. The Great Gatsby (movie) 1949 (Alan Ladd) via Amazon. The PDT Cocktail Book via Indiebound or Amazon. The Official Mixer’s Manual via Indiebound or Amazon. The Bartender’s Guide via Amazon. The Fine Art of Mixing Drinks via Amazon. This entry was posted in Drink and tagged Champagne, Champagne Cocktail, cocktail, Down the Hatch One Man's One Year Odyssey Through Classic Cocktail Recipes and Lore, Drink, French 75, Harry's American Bar, recipe, Seelbach cocktail, Seelbach Hilton, The PDT Cocktail Book, Vince Keenan. Bookmark the permalink.